You might remember that over a year ago now (WHAT? HOW? 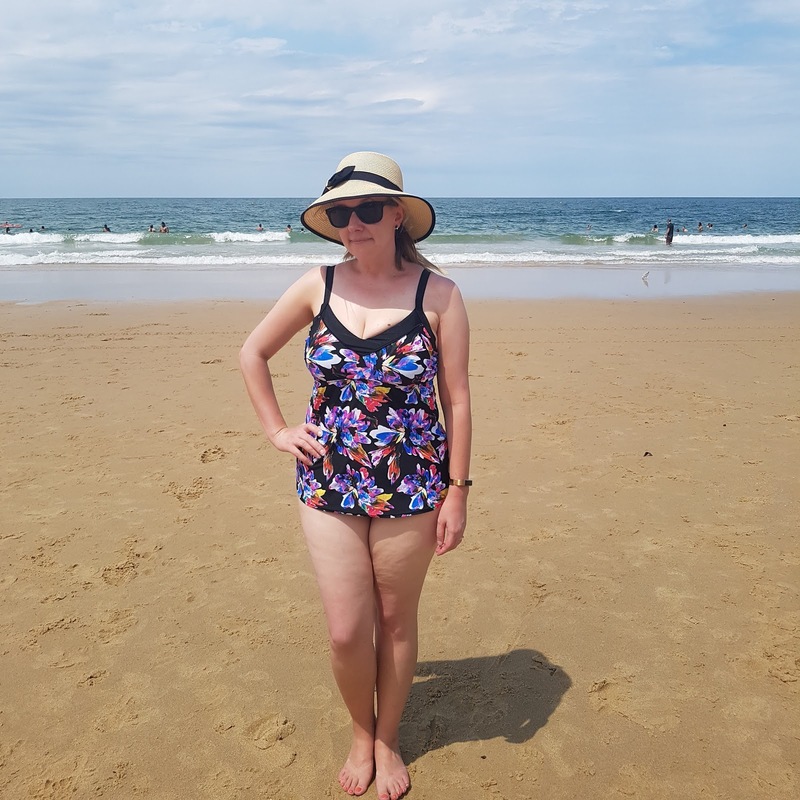 ), I was involved in a photo shoot with some fellow Adelaide bloggers where we undertook the simple act of wearing bathers at the beach. We were kindly gifted said cozzies by Curvy by Capriosca Swimwear and towards the end of last year (WHAT? HOW? ), they got in touch with me and offered another pair. At the time, I was firmly wrapped up in trackies, jumper and slippers, sitting on top of the heater so slipping into bathers was the furthest thing from my mind, but when the hot weather finally reached us (with a vengeance!) I was ready to get on out and enjoy some beach time! After some deliberation, I settled on the Tropics Underwire Tankini Top and some plain black bottoms. "Curvy" doesn't necessarily mean plus-sized and this is a good choice for the small-framed, large-busted lady like my good self coming in at a 12F. You can see there is plenty of support with those adjustable straps and an underwire shelf bra gives you peace of mind. I wore this top in the surf at Mooloolaba over the Christmas hols and every time I got up from being dumped by a wave, I did the usual reflexive check and everything was firmly in place. The tankini style is good for a bit of extra coverage by which I mean sun protection but if you're worried about your stomachicular region (don't be), then the ruching and draping of fabric has got you COVERED as well. See what I did there? Unfortunately this time around my photos aren't as professional as they were taken by my sister squinting into my Samsung Galaxy in impossible-to-see-screen conditions but never forget, #AlmostPoshKeepsItReal. Side note: picked this hat up in a souvenir shop on the Gold Coast and pretty pleased with it. People of the world, I'm telling you - the only reason to cover up on the beach is for extra sun protection (which is totally sensible). Otherwise slop on gallons of SPF, wack your hat on and get out there with some #cossieconfidence. 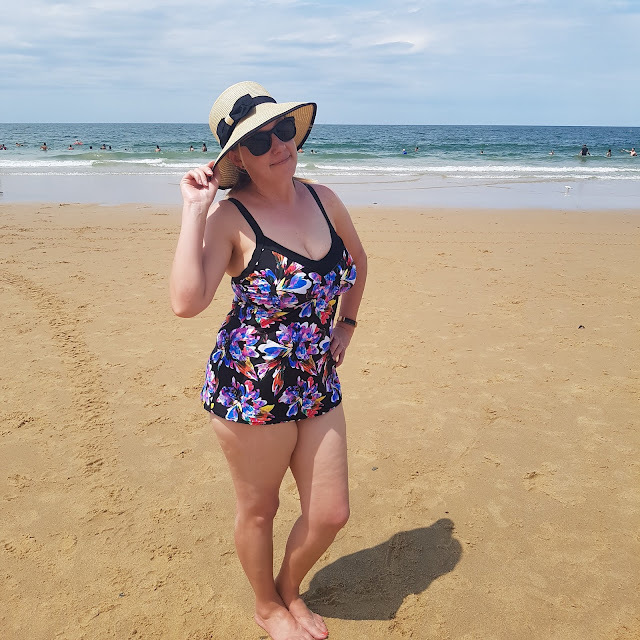 If I was slopping around in an oversized tee and boardies (which I have done in the past due to lack of appropriate bathers in my size), I would not have enjoyed myself in the water nearly as much. 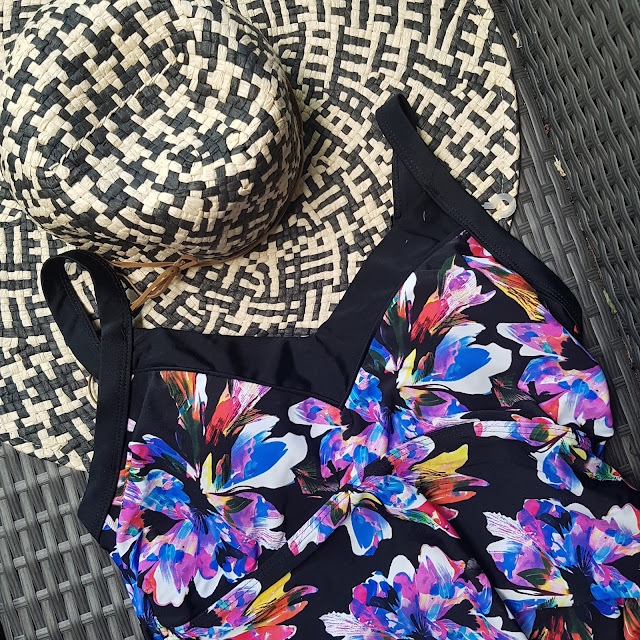 If you're feeling this tankini, you're in luck because it's currently on sale. While on the site, look out for muh girl Stace McGregs modelling like a total MODEL. 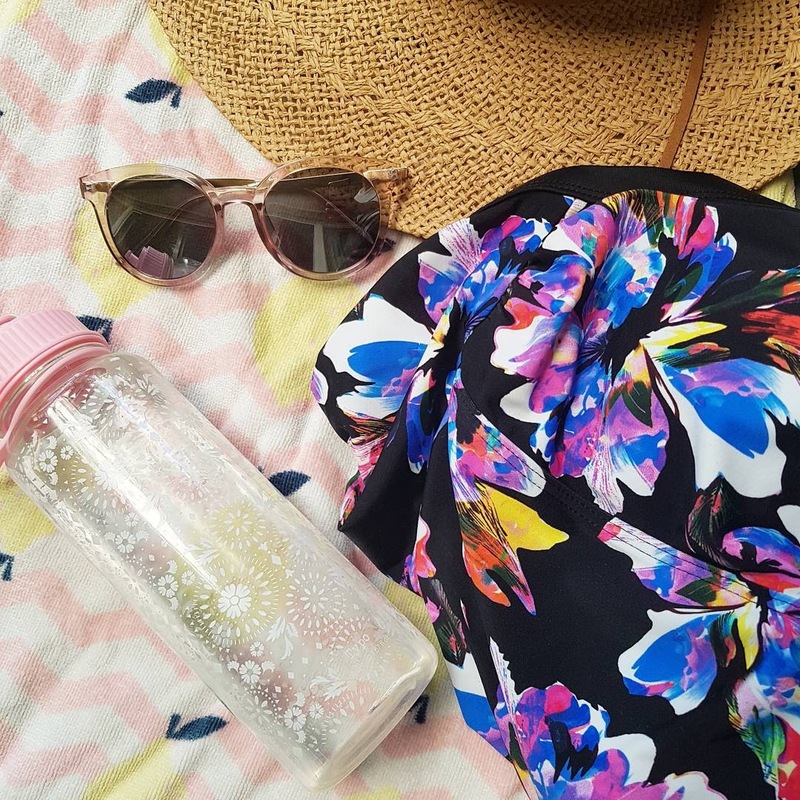 Have you got to the beach this summer yet? Stay sun-smart. Bathers kindly gifted by Curvy by Capriosca Swimwear. Thoughts, feels, images and bangin' beach body are all my own. For more information on working with Almost Posh, please see my PR & Media policy.